Space Channel 5 VR: Kinda Funky News Flash! 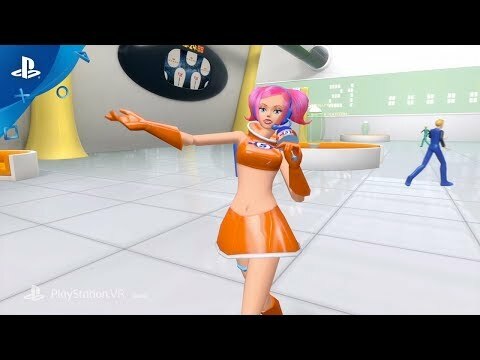 SEGA’ s “Space Channel 5” now returns in PlayStation® VR - Space Channel 5 VR Kinda Funky News Flash! developed by Grounding Inc. Dance is your power to protect the earth against invading aliens! Become the No.1 funky news reporter in all galaxy!! Space Channel 5 is SEGA’s legendary Dreamcast rhythm game first released 20 years ago and now brand new stories, characters, stages and sounds… NEW station 5 is going to be on the air soon! Identical twin sisters, Rookie reporters - Lou & Kee assigned to cover a breaking dance news story as your avatars. Come and experience the return of Ulala for yourselves! The Space Channel 5 VR: Kinda Funky News Flash! release date is to be announced on PS4. Notify me when Space Channel 5 VR: Kinda Funky News Flash! is available.